Did you know that white Styrofoam blocks are banned from going into commercial garbage bins in Metro Vancouver (as of July 2018)? 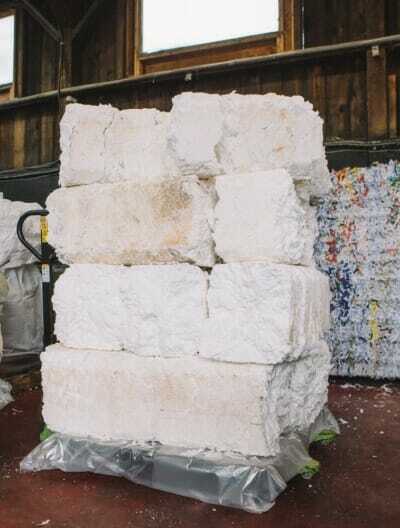 The ban includes an expensive fee if Styrofoam blocks are found in a load of garbage taken to a Vancouver area garbage facility (such as Transfer Stations and the Vancouver Landfill). The purpose of the Styrofoam ban is to encourage more Styrofoam recycling, prevent negative environmental impacts, and prevent the material from taking up large amounts of space in landfills. You can distinguish Styrofoam from other types of foam as it breaks into small bead like pieces and may have the Number 6 labeled onto it. The word polystyrene, or expanded polystyrene (EPS) is also used to refer to Styrofoam. WCS has been collecting and recycling Styrofoam for many years. Contact us for available sizes of bins and pick-up options for your company. For businesses with infrequent Styrofoam loads, we also accept Styrofoam dropped off to our North Vancouver Recycling Depot (fees apply). Once the Styrofoam is collected or dropped-off it is compacted at our North Van location. 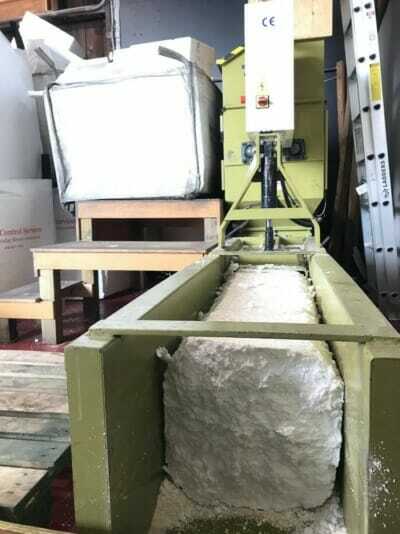 Our staff use a Greenmax EPS Styrofoam densifying machine (pictured above) to remove air from the foam and squish it into a solid block. Densifying the Styrofoam shrinks the volume of it to 50 times smaller than its original size. Reducing the size makes the material much more efficient to transport. The densified blocks are sent to downstream partners such as Foam Only, Blue Planet Recycling, and Intco Recycling. The material is then recycled into new items such as picture frames, crown moldings, and base boards. 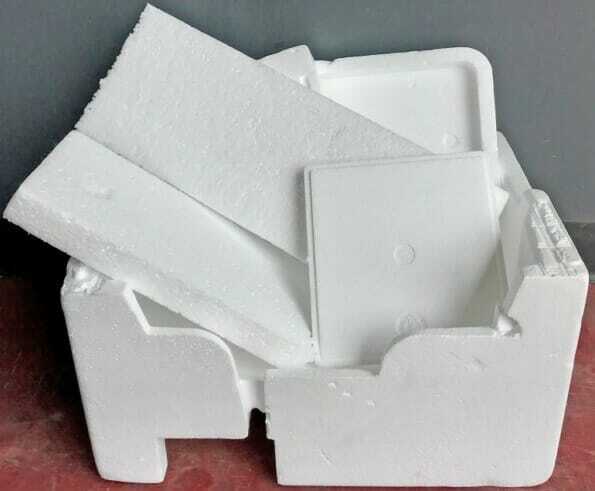 White Styrofoam blocks used for packaging are the only foam type banned from going into the garbage. Materials that are NOT banned include: food and beverage Styrofoam containers, packing peanuts, and Styrofoam that is painted, soiled, or treated. These items can still go into your garbage bin as most are not currently recyclable.